After a dominant 4-1 victory over New Zealand in One Day Internationals, opportunities have opened for the other players as well to make it to the World Cup squad. The upcoming series against Australia will also be an deciding factor in determining the player selections for the 2019 World Cup. Many of the players are currently in contention for a berth in the World Cup squad including the likes of Ajinkya Rahane, Rishabh Pant and Vijay Shankar. 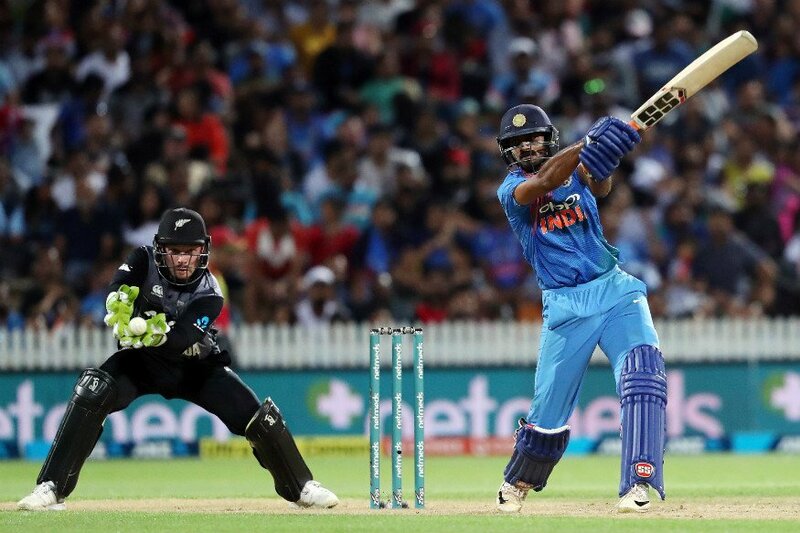 Vijay Shankar’s dominant form in the New Zealand series interested Chief Selector MSK Prasad’s hopes of him playing for India in the World Cup. The all-rounder has looked pretty comfortable in the number 3 batting position against New Zealand in the absence of skipper Virat Kohli. On the other hand, Rishabh Pant’s form in the Australia series has been quite amazing with the 21 year old scoring 350 runs in 4 tests. His remarkable form in the overseas series has left the selectors amazed quite a bit. “In whatever opportunities he has got, Vijay Shankar has shown the skillsets required at this level. We have been grooming him through India A tours in the last two years. 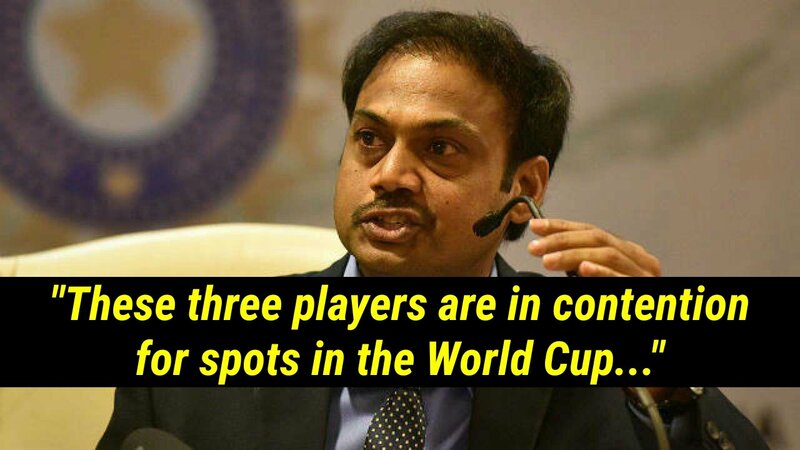 But we will have to see where he can fit in the dynamics of this team,” Prasad told ESPN Cricinfo when asked about Shankar’s chances of making it to the World Cup squad. “Undoubtedly he (Pant) is in contention. A healthy headache. The progression of Rishabh in the last one year is phenomenal across the formats. What we actually felt is he needs a bit of maturity now, gain more experience. That is reason we have included him in India A series wherever possible,” he said, speaking about Pant’s chances at the World Cup. Ajinkya Rahane too is in the contention for this year’s World Cup with his awesome List A form scoring 597 runs in 11 innings at an average of above 70. Rahane, who has been playing only test match cricket for the long time, wasn’t that impressive in the test series against Australia managing to score only 217 runs but his List A form has become an relief for him as far as his selection in the World Cup Squad is concerned. “In domestic cricket he [Rahane] has been in form. He is very much in contention for the World Cup,” Prasad said. Kl Rahul has been not in a good form but Prasad feels that if he could bring back some form, he was still in with a chance to represent the team at the World Cup. The upcoming series against Australia will determine the place of the players in the squad for the ICC Cricket World Cup 2019. Who will make it to the team and who will not is still a question with less than four months left before the mega event.